If you ever wondered about the pros and cons of dismantling the LCBO, I highly recommend reading this Ottawa Life article written by fellow wine writer Michael Pinkus. Download the PDF here. 1. The wineries in this Province deserve better. MUCH BETTER. 2. The taxpayers deserve more choice and a free market wine system. 3. The bonuses are absolutely disgusting and immoral. Where is the leadership? 4. The province is losing two hundred million dollars per year in revenue by keeping this bloated beast of a monopoly afloat. 5. The extra money that would be earned via taxes by getting privatizing the LCBO and allowing free competition could go into healthcare, to schools and to paying down the massive provincial debt and deficit. 6. 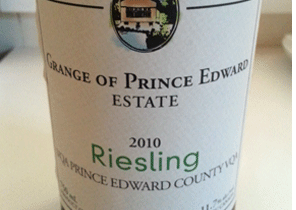 Ontario wineries should have unlimited access to sell their wines across the Province. They are amongst some of the best wines in the world and the LCBO works against the smaller and mid-sized Ontario wineries –the people with a passion for quality and excellence while paying its bloated and arrogant LCBO monopoly functioning management team millions in bonuses while hundreds of thousands of Ontarians are laid off during a global recession. Read it and Weep. I have shopped at lots of liquor stores, including Alberta, where there is “free market” but have found them to be dismal, catering to the lowest common denominator and stocking only what people think they want. It is terrible!! No selection and only the most “famous” wines. I find the LCBO does a wonderful job in searching out and making available to the uninitiated, many good wines. My local LCBO also employs people who actually drink wine other than Yellow Label reds! I fear that privatizing would lead to more expensive prices for crappy wines and less access to lsser known gems. You are right about the size of a pressing needed to get a wine stocked in the LCBO but I worry about throwing the baby out with the bathwater! Work at gettin g the LCBO to stock smaller wineries in local outlets rather than scrapping the whole thing. Surely they could offer small wineries a limited exposure in a few outlets. I have found most outlets to be manned by knowledgeable people. I found American outlets and especially Albertan (and I am talking about West Edmonton Mall – surely a big one) to stock little variety and lots of dreck!!! Don’t let your frustration on behalf of wineries cloud your vision of working to teach people about wine or our world will shrink to encompass only those with the bucks to advertise widely! I am on neither side of this debate so please read my question accordingly. I recall having a discussion with someone from Alberta about privatization. His comment was that instead of offering more variety you ended up with less. Specifically you ended up with stores stocking only the wines that the local community (to the store) was buying and nothing else. I’m just curious if you feel there is any validity to his observation? Wow, a long swing from your “I love our LCBO” pieces a while (okay, a long while) back. How far would you go with these suggestions? While a single outlet in a privatized marketplace might carry fewer products than the whole of the LCBO, anybody who has ever been to one of the dismally small LCBO “C” or “D” stores outside the major urban centres of the GTA or Ottawa will agree that the situation is fundamentally no different with the LCBO… the greatest variety and selection are distributed to the stores in areas with the greatest density of population who want it and who can afford it. In an open market, we would not have 600 places in Ontario to buy our wine and liquor; in time, we would have three to four times that many places. And, across the province and across all outlets, the variety would be staggeringly greater than what the LCBO is currently able to offer. Interesting article, and interesting comments here. I am from Alberta originally and it is true that the vast majority of liquor stores in Alberta carry mostly junk. Even those that carry a half-decent selection of wines are very badly organized and the staff know nothing about wine. The exceptions to that general rule are the wonderful boutique stores like Grapes and Grains, which are few and far between. Interestingly, those boutique stores are very much like an LCBO. The real kicker is that, as others have noted, the prices in Alberta really are higher than in Ontario, which is not what Albertans expected when privatization was implemented. Plus, while retail has been privatized, the Alberta government has retained control over distribution, and most stores just buy from the government catalog. So selection is not necessarily that much better than in Ontario. Be careful what you wish for.